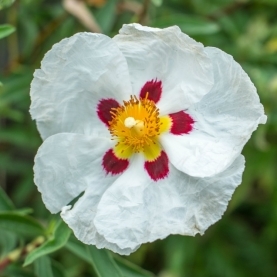 Stillpoint's Cistus flower essence holds the energetic imprint of the flowers and leaves of the cistus ladaniferus plant. The plant from which the flowers and leaves come from is a 12 year old botannical thriving in our side garden. This particular flower essence holds the intention of deep healing, togetherness, and soothing.